The ibis Bern Expo is situated opposite to the Bern Expo Exhibition Center and is a five minute walk from the Stade de Suisse Wankdorf and the National Equestrian Center. You can reach Bern city centre in seven minutes by tram, and Bern airport is just 10km away. Book one of our 96 air-conditioned rooms and make the most of our hotel with its 24/7 service, free Wi-Fi access and chargeable parking. Paid parking on site. Bern Ticket to use free of charge the public transports in the city. To enliven your evenings you will find a table football in the hotel's lobby. Uncomplicated, modern and comfortable, with a cozy bed and a functional bathroom. 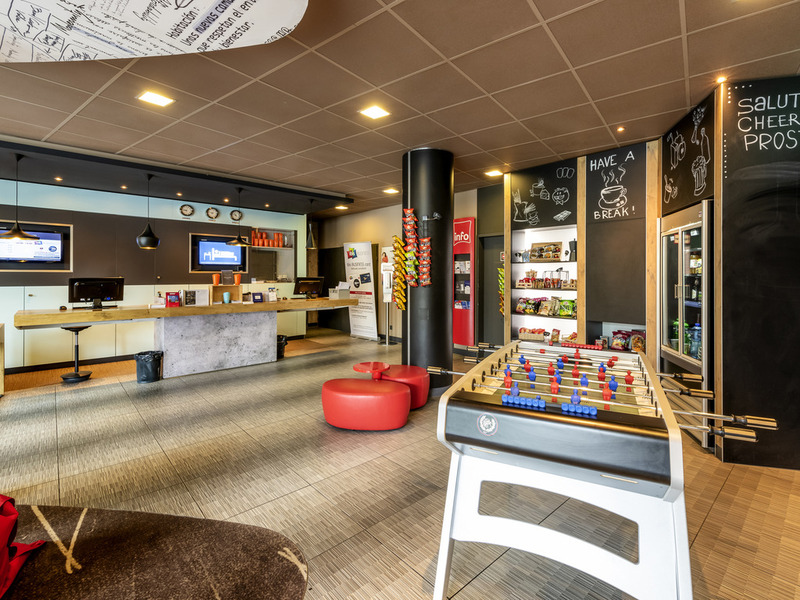 You will find everything you need in an Ibis room.